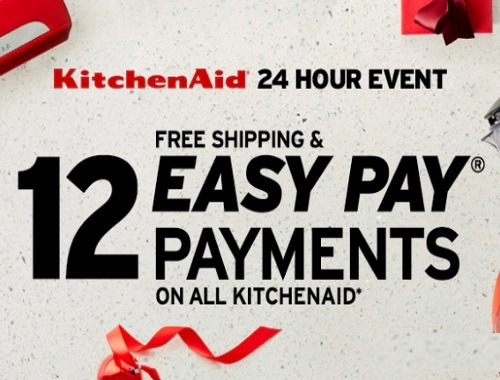 The Shopping Channel has a KitchenAid 24 Hour Event on now! Great time to get KitchenAid items for Christmas gifts! Get special offrs on your favuorite essentials with 12 Easy Pays available and Free Shipping! This offer is available for 24 hours only. Also be sure to consult the mail-in rebates offers listed for KitchenAid to save even more money.